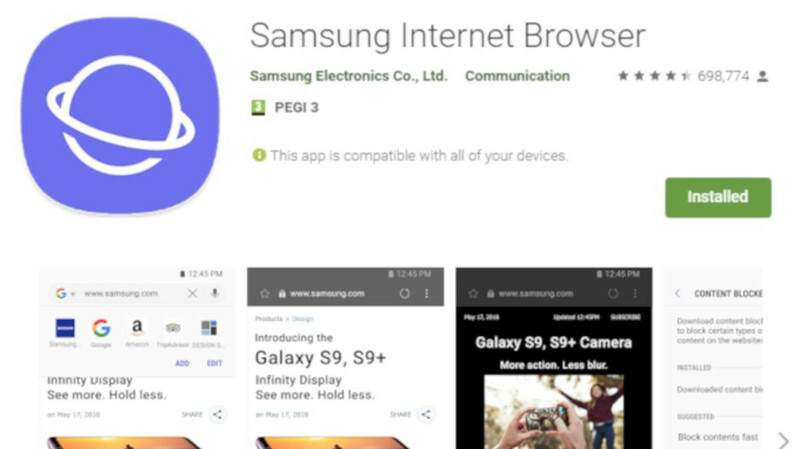 Samsung is rolling out a new version of its Android browser to all compatible devices. If you already have the app installed on your phone, the update should now be available for download in the Google Play Store. 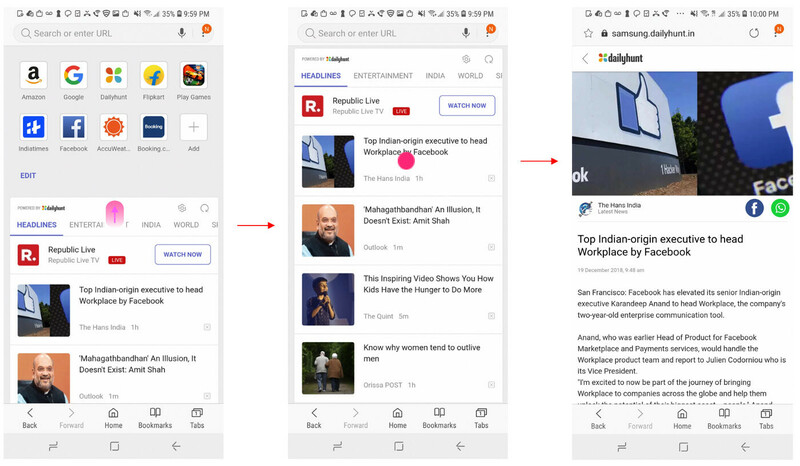 Samsung Internet Browser 8.2 has been in beta testing since September, but now it's been pushed out to everyone using an Android phone. The new version introduces some new features and major improvements to already available functions. For example, the latest update adds significant download speed improvements for large files. Whenever the browser will download a file larger than 13MB, it will now get it in chunks using multiple connections. Samsung claims users should get between 15-40% speed improvement when downloading a file with the new version of the browser. Also, there's a new feature called News in Quick Access, which is only available in the United States and India. If you're using Bixby, you'll be pleased to know that you can now open Samsung Internet Browser with your voice and tell it to search for whatever you wish. Finally, the update brings a brand new Do-Not-Track option that will tell your browser that you don't want websites you visit to track your location. Took "Quick Access" and ability to set it as homepage from Safari? Aren't fanboys delusional? I'm sure that Opera Mini had that, on the s40 platform, back in 2006. Lol. The version on my Note 9 is newer than this one. Samsung's browser has over taken Safari to me as my preferred browser, other than moving web pages, and Siri voice dictation. Love this browser. Checked it out on play store and, from the reviews, they are forcing Google as homepage on users. Shameful! I am definitely not updating, especially given that download improvement is the highlight of the update—IDM takes care of downloads for me. I have 8.2.01.2 and can still use any home page I want. Still no where compared to Safari, the best browser. Safari is incredibly slow when you use multiple tabs, just to open new window is like 5 times slower than on Brave for example. Brave on Android ofc, where it can use its engine to full effect.